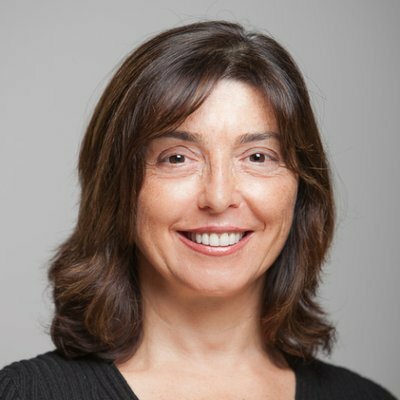 Since Serpil Bayraktar began her career in comms 26 years ago -- alongside Internet giants such as Yakov Rekhter, Dave Katz, Elise Gerich and even Vint Cerf -- she's been involved with a number of cutting-edge technologies that have changed how we communicate, live and work. Bayraktar, now a principal engineer in Cisco Systems Inc. (Nasdaq: CSCO)'s Chief Technology and Architecture Office, is at the forefront of making networks more automated, adaptable and software-defined. She has made it a point to stay on top of tech trends, even those that fall outside the scope of her day job, which currently entails leading Cisco's streaming networking analytics initiative. At the same time, Bayraktar is an adviser to the Women in Science and Engineering group at Cisco and the founder of Cisco's Women in Technology program, designed to help other women stay on top of where the industry is going as well. Bayraktar shared her perspective with Women in Comms, including why BGP and L3VPNs are two of her favorite technology revolutions. Read on for more. Join Women in Comms for its upcoming networking breakfast in Denver, Colorado, on September 28, where we'll be tackling the question "What's the matter with the tech industry?" Serpil Bayraktar: I have an EE [electrical engineering degree] from Istanbul Technical University. My area of study was fabrication of transistors. I moved to the US after college because my husband started his PhD at the University of Michigan. While there, I got my first job as the network operations technician at the NSFNET NOC. NSFNET was the last Research Internet funded by NSF. What started as a temporary operator job extended into a 26-year career, mostly because I fell in love with networking. I was very lucky to work with Internet giants like Yakov Rekhter, Dave Katz, Elise Gerich, to name a few. In fact, one of the very first calls I got on my shift was from Vint Cerf. During the NSFNET project, I worked my way up from a network operator to a network architect within a few years. The group I was in moved to a company called ANS (Advanced Network and Services), which was one of the partners of the NSFNET project. ANS was one of the first service providers in the world. It was eventually acquired by AOL -- we built their dial-up infrastructure in the '90s -- and then by MCI-WorldCom. After that acquisition, I accepted a job offer from Juniper Networks (pre-IPO) and moved to California. I had a nice long career at Juniper; 13 years to be exact. I was a systems test engineer working closely with the developers on emerging technologies like L3VPNs [Layer 3 VPNs] for the most part of it. Later on, I moved into the software development team and started Juniper’s first development test team. I was part of the CTO office at Juniper in my last 1.5 years, working for David Ward. I have been with Cisco for the past six years, working in CTAO office under David Ward. WiC: You have been involved with a number of crucial technologies over the course of your career, including IP routing, VPNs and SDN. What has been the most exciting and impactful technology, in your opinion? SB: BGP [Border Gateway Protocol] has been a totally fascinating technology. What started as a simple way to exchange IP addresses evolved into a protocol that carries all sorts of other services. L3VPNs were also fun to work with. Being able to use the same physical infrastructure for multiple customers as if each has their own was a big breakthrough at the time. With SDN, we are finally truly entering the new era of networking where everything is fully automated. WiC: Why do you think it’s important to understand technologies outside of the scope of your day job? SB: It’s very important to understand the ecosystem because what we are working on individually is ultimately a part of a bigger system. Making connections between different technologies allows us to come up with creative and unique solutions. You can perfect something by solely focusing on that, but more interesting and impactful things happen when you allow your mind to combine different experiences together. WiC: How are you helping other women do this? SB: I do this in three ways. First, I mentor other women. I find it extremely interesting and fulfilling. Second, I try to be a role model by stepping up to leadership roles. Third, I started a program called Cisco WIT where every month I bring a speaker to talk about a technology area. Being in CTAO, I get visibility into cutting-edge technology and I want to share that knowledge with my colleagues. These monthly sessions have been helping women focus on the important technology areas, as well as making connections to a community of like-minded people like them. 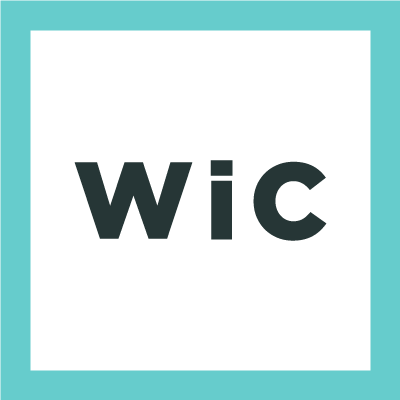 WiC: What is your biggest piece of personal advice for women to keep advancing in their careers in comms? SB: Accept imperfections and the uncomfortable feeling that come with it. Take advantage of the opportunities that come your way even if you think you won’t do a good job. You will learn along the way. Stick your neck out whenever possible. Network with other women. Thanks a lot for giving me an opportunity to share some of my background and thoughts Sarah! I realized that I left out something very important that is directly relevant to SDN: My current project Streaming Network Analytics System (snas.io) which is an open source project under Linux Foundation. SNAS is a system that collects, stores and tracks tens of millions of routing objects in real-time with sub-second access to data. It can generate real time alerts based on watch lists. Also, we don't just collect and dump the data for applications to sort it out. Instead, we produce conditioned, easy-to-consume, and application friendly routing data that can be used for a wide range of real time analytics such as IP inventory tracking, topology path tracing, SDN, Infrastructure security etc. Other OpenSource projects can use SNAS for all their real time streaming routing data needs and Netops/Devops can use it to create new service assurance and network automation applications. I am really excited about the potential SNAS holds! SNAS gave me an opportunity to bring everything I learned in my career together towards a more intelligent network. I also found the process of joining an open source foundation incredibly interesting and rewarding thanks to all the wonderful people at Linux Foundation. To all my female colleagues out there, get involved in OpenSource! It's really fun and rewarding. Great to hear Serpil's story and more about the work she is doing helping others at Cisco stay on top of technology. I was also happy to hear she included SDN and, more specifically, automation as one of the most impactful technologies today. That's something we at Light Reading have identified as a game changer (if you can't tell by reading the site! ), and Cisco is a pioneer here.